2. I blew off both my tempo run and my TurboFire workout today and I ate terribly. And I'm not beating myself up for it. It happened, I get that it happened, now I'm moving on. Tomorrow is a new day. I can only evade her for so long. 3. 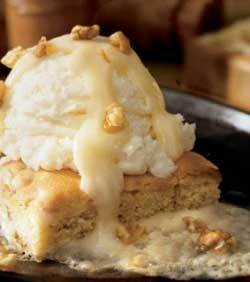 One of the things I ate today in rebellion against anything containing nutritional value was one of my favorite desserts of all time: the maple butter blondie from Applebee's. Just from the title, it has three of my favorite things. I like any dessert that was made with butter and then comes served with a butter sauce to pour on top. It's like freaking crack. It's evil. 4. Speaking of stuff I ate (when am I not speaking of stuff I ate?!)... before I gave up on all nutritional value today, I did make apple, peanut butter, and raisin sandwiches. This is easily my new favorite snack. I am madly in love. 5. I am also madly in love with this watch. If anyone has a spare $125 lying around, please... let me know immediately so that I can have fabulous rose gold bling on me. Please help Jessica look more like a grownup. 6. 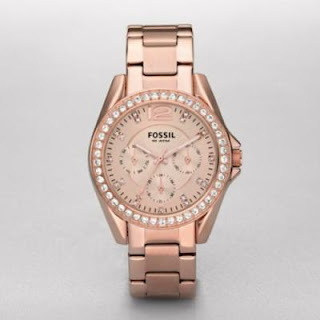 I would also really enjoy this watch and perhaps this one as well. I might be on a watch kick. I still might have a shopping problem. I am considering trying to find a support group. 7. Did I mention I am really exhausted and running completely on fumes? 8. I really desperately want to see the Justin Bieber movie. I still can't believe that I missed it while it was in theaters. And yes, I swear I am 24 years old, and not 16. Though sometimes I have trouble believing it myself. 9. I applied for a few jobs at Nordstrom yesterday. Somehow, the 5 hours I work for Weight Watchers every week isn't cutting it in terms of making money... so for some crackhead reason, I thought applying to work at a store where I want to spend my life savings would help. Really? I shouldn't be allowed to work retail ever again. I worked for Victoria's Secret when I was 18 and I don't think I made a single cent. I think I actually spent more than I earned. Damn discount. Victoria's real secret is that she likes to hire people for less than minimum wage who look like they'll spend too much money on her crap. Rude. Maybe next time I'll apply for this job with Victoria's Secret... HAHA! 10. I had an amusing conversation with a coworker this morning about donuts. 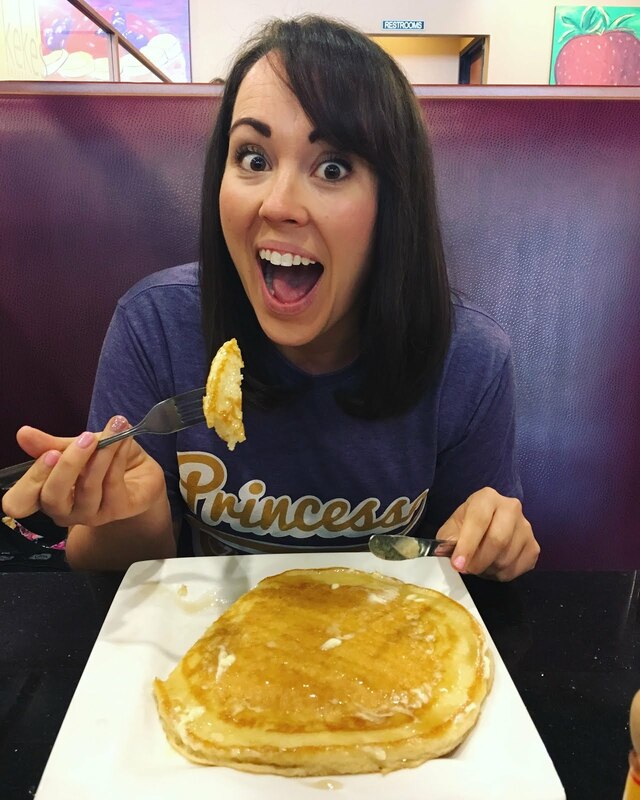 She agreed with me that it's ridiculous when people say things like "Well, I used to eat donuts regularly, but I had one the other day after not having one in months... I didn't even finish it. It didn't taste good to me anymore." REALLY?! Teach me your powers. I used to be like an alcoholic when I first joined Weight Watchers - I could tell you down to the hour when my last donut had been. 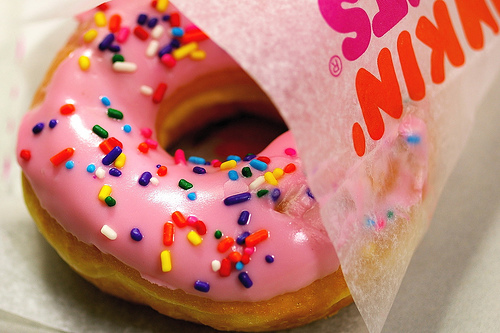 And then I broke down and had a donut and you know what? It was still amazing. Unfair. Hello. I am evil incarnate. 11. I turned down an offer for a pancake breakfast tomorrow. I know. I may check my temperature, as I am clearly ill. I also left some food on my plate at dinner. And somehow left one bite of that maple butter blondie. But only because the person with me was looking at me with disgust. 12. So far, out of 11 things, 4 of them are about food I ate, wished I ate, or turned down eating, and 3 of them are about shopping. Do I have a life outside of eating and shopping? I am beginning to worry. 13. I'm really, really exhausted and not sure I can think of two more things. 14. I went to the brand new IKEA today. See, Colorado isn't cool enough to have 8000 IKEAs everywhere, so we've been waiting patiently for our one store to open waaaaaaay far away from my humble abode. It opened on Wednesday, and my parents and I thought it would be a fun adventure to go see it today. It was not a fun adventure. It was like Black Friday, but worse. I bit off all my nails and twisted my ankle. I don't do well under pressure. 15. I want to paint my toenails bright neon pink.